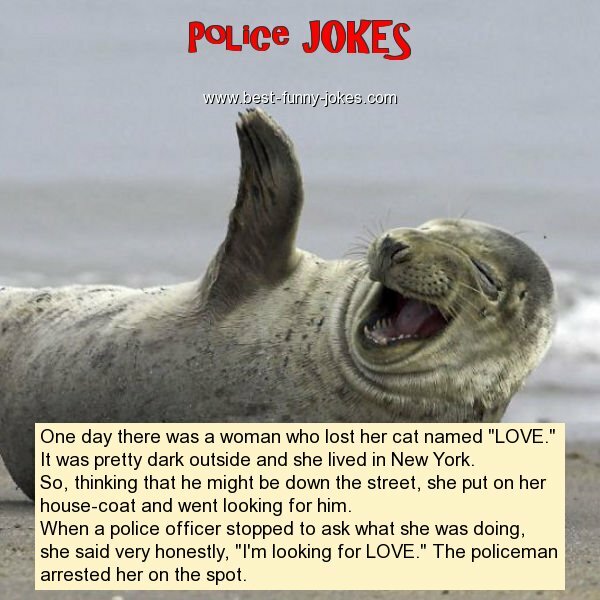 One day there was a woman who lost her cat named "LOVE." It was pretty dark outside and she lived in New York. So, thinking that he might be down the street, she put on her house-coat and went looking for him.